Wooden windows offer value, style, and durability, making them one of the most enduring window styles in the UK. However, as a homeowner looking to purchase wood windows, you must be aware of costs, the pros and cons of timber, and other considerations that will affect your home. Wood and timber windows have a lot of pros and cons, but as the most expensive material, you’re probably most concerned about costs. Wooden windows are expensive and you should expect to pay significantly more than you would for any other frame material. However, the cost of wood and timber windows varies a great deal depending on factors such as the type of wood, the type of frame, the size of the window, window treatments, whether you choose double or triple glazing, glass type installation, and brand. In most cases, 30-40% of the cost of installing wooden windows will be the actual price of having the windows fitted. However, you can consider the following chart with standard costs for double glazing for different types of wood and wooden frames. Actual costs will vary based on your quote and your installer. Most UK homeowners pay a median of about £1,250 for each wooden window they install. Hardwood prices can be as much as 4x the cost of softwoods if you choose a luxury material. However, these quotes are based on the median prices for common hardwoods like oak. Softwood and hardwood are both popular options but each has its own pros and cons. Softwood – Softwoods include materials like pine, cedar, fir, and yew. These wooden windows are less durable because they are softer, but are often more resistant to bugs and sometimes to damp or to rot. This means that they will require less treatment over time, but are not as strong and are more likely to be damaged. Softwood windows can last 50 years or more and are as much as 35% cheaper than hardwood, because softwood trees grow very quickly. You can expect to pay £6,000-£15,000 for new windows for an average home. Hardwood – Hardwood comes from slow growing trees like maple, mahogany, oak, birch, beech, etc. These trees product thick, dense wood that is heavy and extremely durable, providing very good U-values and thermal resistance. Hardwood windows are more expensive because they grow more slowly. You should expect to pay £8,000- £20,000 for new windows for the average home. Wood is the most expensive material but it also offers high energy efficiency, durability, and low environmental impact. For example, consider the following costs for a 90 x 60 casement window. *exact thermal conductivity will change based on the thickness of the wood frame, any coating, and whether the wood has been compressed. Wood windows are one of the most eco-friendly choices you can make for your home, both in terms of energy efficiency and long-term carbon reduction. If your goal is to reduce your impact on the environment by lowering your carbon footprint, wood windows are an ideal solution. For example, a Wood Window Alliance certified wooden window has a guaranteed lifespan of 60 years or more. Over that lifespan, you can save around 3/4s of a tonne in CO2 output. While the energy efficiency of wooden windows is largely dependent on the glazing, wood is thermal resistant, making it highly energy efficient. You can also achieve U-values of up to 1.0W/m2K using hardwood frames. For this reason, most wood double glazing frames are A rated or higher. Unfortunately, with the high costs of wood, you cannot expect to see a return on your windows unless you get a very good deal on the installation. For example, consider this chart including savings as estimated by the Energy Savings Trust based on average prices. In short, you are unlikely to see a return on your wooden windows. However, wood windows do add value in other ways. Wooden windows offer numerous pros and cons which you should be aware of. Long lasting. 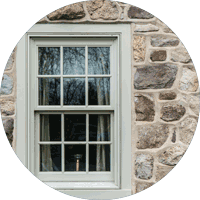 Wood Window Alliance windows are certified to last 60 years or more. Wood and timber windows are available from multiple installers around the UK including some of the best double glazing installers in the country. You can also choose to purchase wooden windows from smaller, local installers. These installers may offer cheaper prices, but will likely offer less comprehensive guarantees and may not have insurance backing. Always double check offerings before committing to an installer. Wooden windows are among the most expensive you can buy so it is reasonable that you try to save money. Luckily, you can reduce costs by knowing what you want, understanding pricing, and sticking to your plan during a sales meeting. Know what your windows should cost. 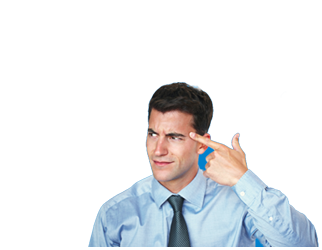 Some sales representatives quote as much as 60% over their minimum price. Don’t accept same-day offers, they aren’t a good deal. Don’t sign anything same day. Take your time, get more quotes, and compare your options. An installer is legally obliged to give you at least 14 days to decide. Know what you want before you have a company inspect your home. If you want softwood casement windows, don’t let a salesperson talk you into hardwood sash windows, which will more than quadruple your price. Make sure that your installer is FENSA or CERTASS certified. If you need help, use our free tool to save time and money. We can help you to save as much as 37.5% on your windows. Just send us your information and we’ll request competitive quotes from local installers on your behalf. Then, we’ll send you the best 3 so you can choose (or not), there’s no obligation. Ready to start pricing your windows? Request your wooden windows quote now.